Bridge To Mars, coming from Sweden, may be a new band, but you might know the players. Both JJ Marsh (guitar) and Thomas Broman (drums) played together in the Glenn Hughes band and the Hughes (Joe Lynn) Turner Project. Additionally, Marsh has appeared on nine Hughes albums. 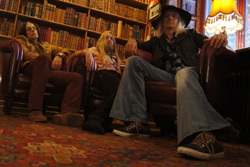 Broman has an extensive musical pedigree performing with the likes of Great King Rat, Electric Boys, John Norum, and Michael Schenker to name a few. The bass player is Robert Hansen from Beardfish. This self-titled longer player is their debut album. Thinking upon the players' experience one can get some indication of the Bridge To Mars Sound. It's a bridge to the Seventies. 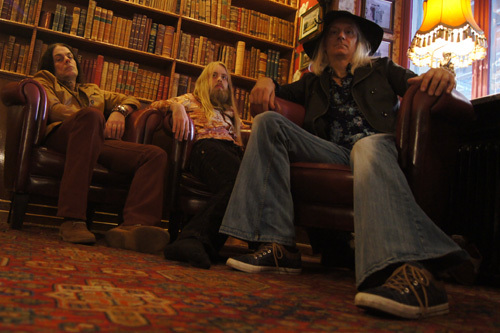 The band blends classic melodic and heavy rock with blues and psychedelic rock, taking cues from some familiar influences: Led Zeppelin, Thin Lizzy, Cream, The Who, Soundgarden to mention only a few. They do this clean vocal harmony, spirited blues-twisted and fuzzed out psychedelic guitar riffs and solos, and a ridiculously deep and groovy rhythm section. Even more the recording has this warm organic feeling. There's not mention of it in press materials, but I wouldn't be surprised if the either recorded with analog equipment or cut everything live. Perhaps both. Not to dismiss any players' performance, but two thing caught my ear: the strength of Marsh's vocal presence and melody and his varied guitar style through out. You'll notice how his voice easily follows a song's arrangement, mostly the guitar line, but also the rhythm in the groove. In this sense, Marsh is still a page out of Ozzy Osbourne's early Sabbath style. Notable examples include Days That Never Came, Soulshine, and the uber groovy Amaze My Mind. While I grew up with this sound in my youth, it's not necessarily my "go to" sound anymore. 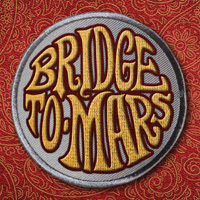 Yet for a command of the heavy blues, and psychedelic rock genre, Bridge To Mars is spot on target. If you like the genre, you will love this album. With a command of the heavy, blues, and psychedelic rock genre, Bridge To Mars' debut album is spot on target. If you like the genre, you will love this album.